Christmas is just one week away! We love a seasonally appropriate read over here at Intellectual Recreation, and, with Christmas fast approaching, we have our eyes on a few wintery, Christmasy stories. This little book was such a lovely breath of fresh air. It's Christmas Eve and Chloe has a shift at the local grocery store, GoodFoods Market. As it is bound to be a busy day, the store is fully staffed. Working along side Chloe are five other teenage employees. The workday has it's usual highs and lows. High: Tyson, Chloe's crush, is assigned to be her bagger. Low: Crashing a cart into a car trying to impress said crush. But the lowest of the low is when Chloe and the other young employees are accused of stealing the charity fund and have to stay late to talk to the police. Top Ten Clues You're Clueless is so cute. I loved Chloe and her endless lists. Liz Czukas manages to make Chloe both adorable and dorky. Almost the entire book takes place in the grocery store, and that's actually a lot of fun. The reader gets a behind-the-scenes look at the inner workings of a marketplace. Chloe has a tough time making friends and getting out of her own head. It's nice to see the group rally and open up to one another. I loved them all, snarky Sammi, know-it-all Micah, beautiful Zaina, goofball Gabe, and crush-worthy Tyson. They were kind of forced into their friendship, but that doesn't make it any less sweet. The whole book reminded me of a meme that I saw recently about the bonding that occurs when people are forced together for a long period of time. Also, I this is just the type of Christmas story that I like best. A cute, fun contemporary with Christmas as the setting. This would definitely be a fun book to pick up this December. 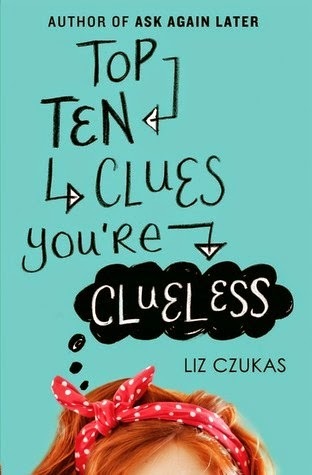 Top Ten Clues You're Clueless is out December 9th, 2014. Review copy from Edelweiss. Dash is not excited for Christmas, but at least he gets to spend the holiday alone. Lily loves Christmas, but this year, her parents are gone and her brother's preoccupied with his boyfriend and she's left with a lonely holiday. While perusing the Strand, his favorite bookstore, Dash comes a across a red notebook filled with instructions that will lead him to Lily. The two get to know each other as they pass the notebook back and forth in increasingly bizarre ways without ever actually seeing each other. There are some really wonderful things about Dash &Lily's Book of Dares. Dash loves words, which is such a charming trait for a snarly person, and I love Lily's optimism. 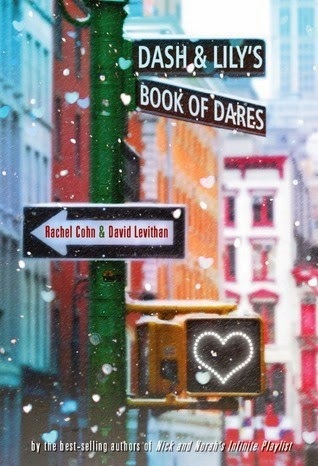 Rachel Cohn and David Levithan wrote this book by sending chapters back and forth in emails--something JoLee and I think of as the Letter Game and have always wanted to try. It seems like the perfect way to write a book about strangers passing a book back and forth. Unfortunately, I found much of the book to be pretty crass, enough that it was distracting and off-putting. It was still a fun read and another book with a Christmas setting that isn't a dedicated Christmas book. Top Ten Clues You're Clueless reviewed by JoLee. 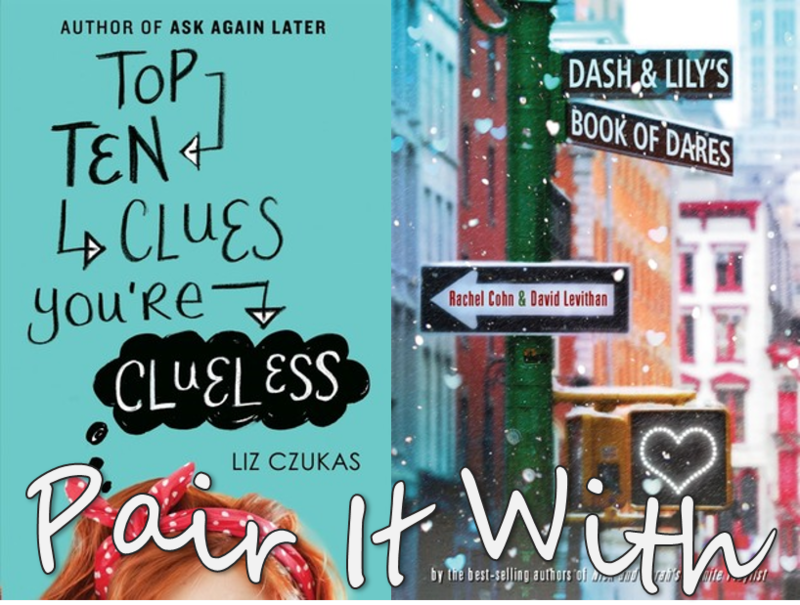 Dash & Lily's Book of Dares reviewed by Paige.